Albany, NY (March 12, 2018) – National Young Farmers Coalition (NYFC) farmer members from across New York State are meeting with New York State legislators in Albany today to discuss the challenges young farmers face in finding available and affordable farmland to own—a crucial step in pursuing a farming career and building a successful farming business. “This is my first opportunity to be involved in changing agriculture policy and to make my voice heard in a meaningful and effective way. Working farm easements are an important tool that will strengthen land access in New York. Today we get to sit down with legislators and explain why they should support this policy,” said Devon Van Noble, owner and operator of Van Noble Farm in Trumansburg, NY. Young farmers will talk about the escalating price of land in their counties and across the state. According to USDA data, average New York farm real estate prices rose by 124 percent between 1997 and 2016. And in Columbia and Orange counties, from 1997 to 2012, average per acre sale prices rose by over $2,400 and over $1700, respectively. These price increases are due to many factors, including pressure from non-farmers looking to buy protected farm properties as estates. “As farmers get older and land changes hands, it is so important for young farmers to be involved in the policy process and make our voices heard. We are headed to the Capitol today to talk about the threat of losing prime farmland to non-farmers, and how working farm easements can prevent that from happening by keeping farmland available and affordable for working farmers. 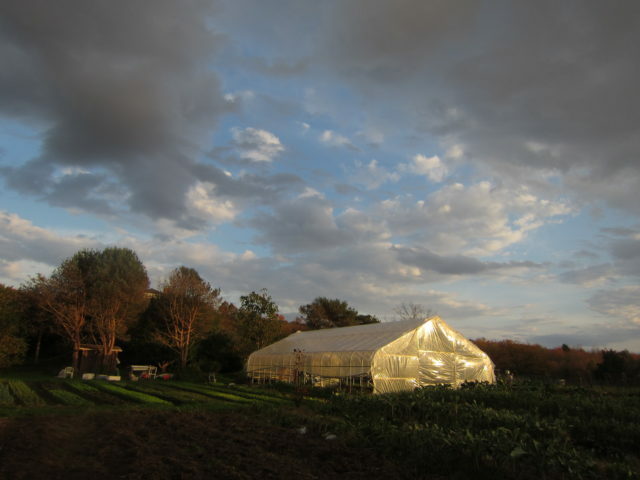 This is a great opportunity for me to engage with legislators and provide a personal perspective on the challenges farmers are confronted with in finding land to farm,” said Bryn Roshong, co-owner and operator of Solid Ground Farm in Kingston, NY. The need for young farmers continues to grow across the state as farmers approach the age of retirement. Nationally, farmers over the age of 65 now outnumber farmers under 35 by a margin of six to one, and land is overwhelmingly concentrated in the hands of older farmers.i In New York, farmers who are age 65 and older own or manage nearly thirty percent of the farms, and most do not have a farm operator under the age of 45 working alongside them. NYFC and its local chapters are promoting the use of working farm easements in New York State that would keep farmland permanently affordable to the state’s working farmer population. These stronger conservation easements that protect farmland affordability are not currently eligible for state funding—a missed opportunity at a critical moment in New York State agriculture. 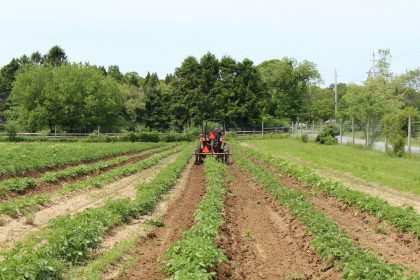 Legislators who serve on the Senate and Assembly Agriculture Committees will hear directly from farmers about the importance of keeping New York’s farmland available and affordable for working farmers through this tool.